With Eugeny Naidenov, Ultimate Guitar founder, at the westernmost Dodo Pizza in Russia—in Baltiysk, near Kaliningrad. In a small town, we saw good service, an awesome product, and a super clean and welcoming pizzeria. Feeling really inspired. Everything we’ve been working so hard and relentlessly on at Dodo Pizza is bearing fruit. There are only 33 thousand people living in Baltiysk. Yet, just a few months since its launch, our pizzeria already nets around 1.5 million rubles ($23,000) a month. Dodo Pizza in Baltiysk was opened by Denis Usalev and Darya Mishueva. They gave up their fancy Moscow jobs and moved to Baltiysk. They took loans and invested all their money in their first pizza shop. Darya dreamt of living on a sea. Denis wanted to start his own business. Now they live on a sea and deliver happiness to their customers every day. Daria and Denis are deeply involved in their business. They do everything—from buying fresh vegetables to working at the cash desk and doing deliveries. They work 24/7 but don’t look tired—they look happy. It’s an utmost pleasure to work with such partners as Denis and Darya. It’s a blessing—and a huge responsibility. Thank you for your trust in our brand, Denis and Darya! We’ve just opened for delivery on Prospekt Bolshevikov in Saint Petersburg. For me, it’s a special location. I vividly recall how I used to commute to the subway station at Prospekt Bolshevikov on those chilly “Petersburgish” mornings. In December 2010, before opening the very first Dodo Pizza, I worked for a few days in a Papa John’s that was located in that area. I had a dream—to open my own pizza shop and build it around an IT system. Dine-in at Bolshevikov 2 is opening a bit later. It will be quite homey. I’m in Norilsk, Russia. Beyond the Arctic Circle. Almost at the edge of the world. Sometimes it feels like you’re in a sci-fi post-apocalyptic movie. Enormous shabby buildings, wide streets, boundless tundra on the horizon. 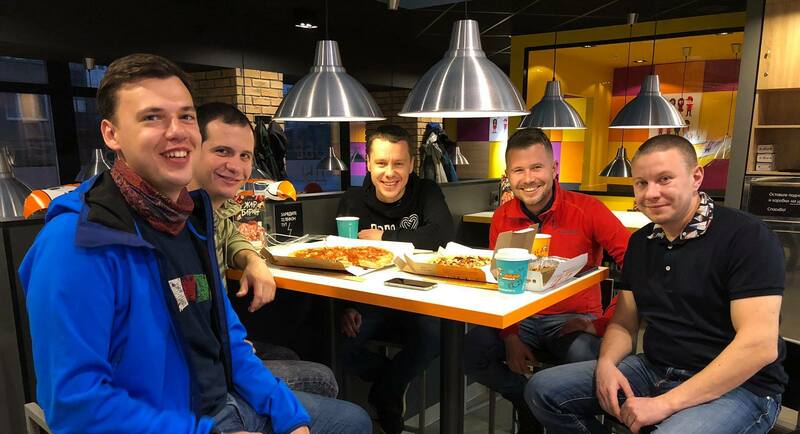 We wade through the squalls of rain, and we end up in a warm, welcoming place offering delicious pizza and decent coffee with smiling people and a playroom for kids. Entrepreneurs do change the world. So many thanks to Eugeniy Papushev, our partner in Norilsk. He assumed the risks and created something that hadn’t been there before. It wasn’t easy. Just imagine it: pizza sauce and flour for the pizzeria are delivered by ships through the Northern Sea Route, and fresh vegetables—by air on planes. I’m thrilled that this pizzeria is showing profits and Dodo Pizza made this stern city a bit brighter, warmer, and more cheerful. It’s the utmost pleasure of our business. Okay, we’ve been in the pizza business for almost seven years. 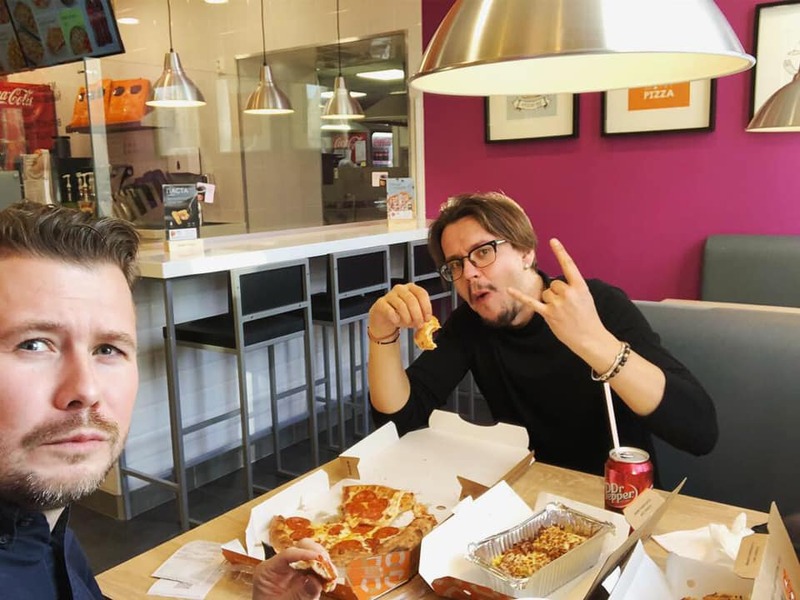 And recently, we asked ourselves: in general, how popular is pizza in Russia—our home country, where Dodo Pizza is the market leader? With more than 230 deliveries, we now have the biggest pizza chain in Russia. Today, the Dodo brand is present in the capital, as much as in Russia's regional centers and small towns from Kaliningrad, the country’s western outposts, to the Far East. If anyone has the data to answer this question, it’s us.